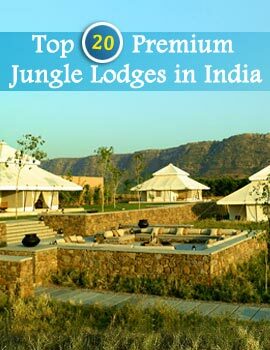 These sanctuaries protect the wild animals and make Andhra Pradesh the perfect place for an ideal wildlife experience. The Pranhita Wildlife Sanctuary is located in the Adilabad district of Andhra Pradesh in the forest division of Chinnur and Mancherial. This sanctuary, almost 300 kilometers north east of the city of Hyderabad, the capital of the state is spread over a vast area of 136 sq kilometers, the Pranhita River runs parallel to this sanctuary , flowing over the undulating land of the place, and hence the name. The best time to visit Pranhita Sanctuary in Andhra Pradesh is from November to April. Accommodation for tourists visiting this Sanctuary can be available at the Forest rest House at Mancherial and Chinnur. The Pranhita Wildlife sanctuary has a habitat of mainly dry deciduous teak forests. The forest belt stretches along the banks of the Pranhita River, a tributary of River Godavari. There are a wide variety of species that are found at the Pranhita Wildlife sanctuary. 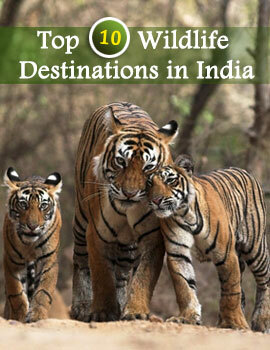 These include Cheetal, Nilgai, Black Buck, Panther, Sloth Bear and Tigers. A wide array of different species of birds is also found in this sanctuary. These include birds like Brahminy Ducks, Teals, Storks, Herons and others. To reach the Pranhita Wildlife sanctuary , the nearest railway station is at Mancherial. From Macherial, one has to travel about 70 kilometers by road. The nearest city to the Pranhita Wildlife Sanctuary is Hyderabad.